SNCF (Société Nationale des Chemins de fer Français), France’s national state-owned railway company, has chosen Ingenico solutions to supply 3,000 of its contactless point of sale terminals across all SNCF sales desks. 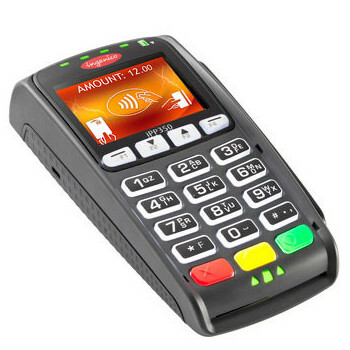 Ingenico will provide the iCT250 contactless terminal and its associated PIN-pad, the iPP2xx developed with Telium technology. The new terminals will provide SNCF sales agents with access to contactless payment technology, enabling them to offer new services to their customers. The iCT250 is the new generation of Ingenico payment terminals uniting state-of-the-art technology and the latest PCI PTS 3.0 security standard. A contactless EMV payment option supports card and mobile phone Near Field Communications (NFC) payment. The base unit also contains Ethernet and fast dials modem support. Ingenico is also developing the software required to integrate electronic payment terminals into SNCF’s architecture and to interface the latter with Mosaïque sales stations.